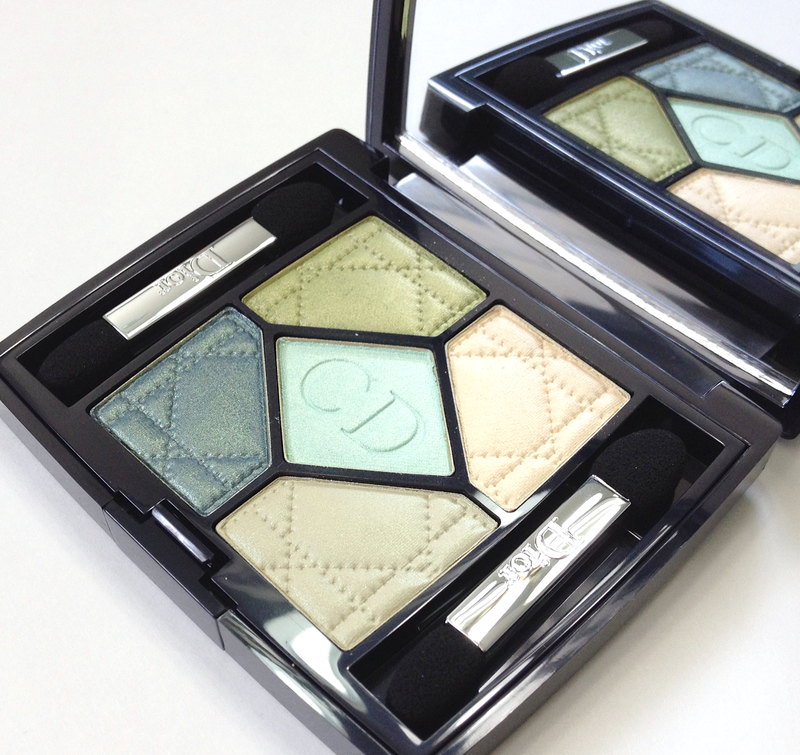 I generally adore Dior palettes. It's a rare collection that doesn't tempt me with at least one, and the Birds of Paradise collection was no exception. I stopped by the local Pharmaprix that has a Dior counter THE DAY it was launched, and was told they only had one each left in stock. I quickly swatched them in store and, my eyes filled with glorious blue-green visions of Piscean wonder, snapped them up right quick. In retrospect, I should have taken more time. They are not terrible, by any means (certainly nothing like last summer's chalky pastel mess), but they are a bit of a mixed bag. Based on appearances alone, both Peacock and Blue Lagoon are stunners. I mean, aquas and smoky teals and golden-greens? That's my natural plumage, right there. Natural light. 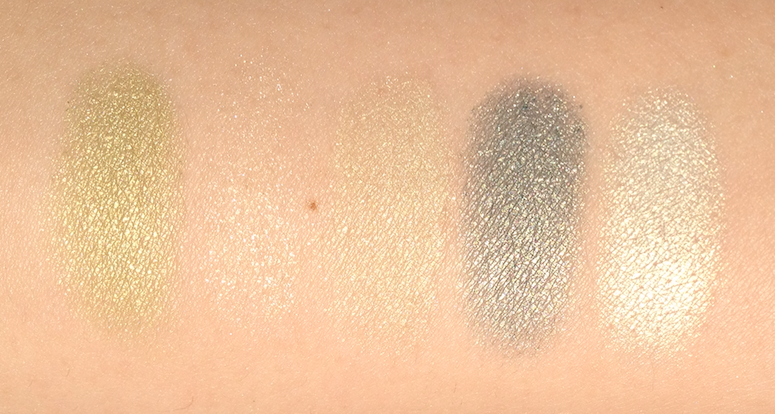 Clockwise from top left in the palette, with middle shade of the palette swatched last on the right. The best Dior shadows have a dense and creamy texture, with medium pigmentation that lends itself well to both soft washes and building up for intensity. 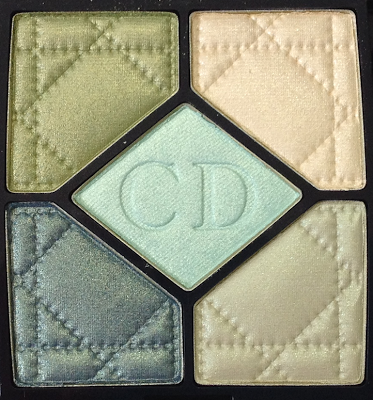 Out of all of these, the golden-green from the top left and the middle shade - a pale aqua-cream - are examples of this formula, and the standout performers. Both apply easily and blend well, and last for an average workday without problems, especially over a primer. 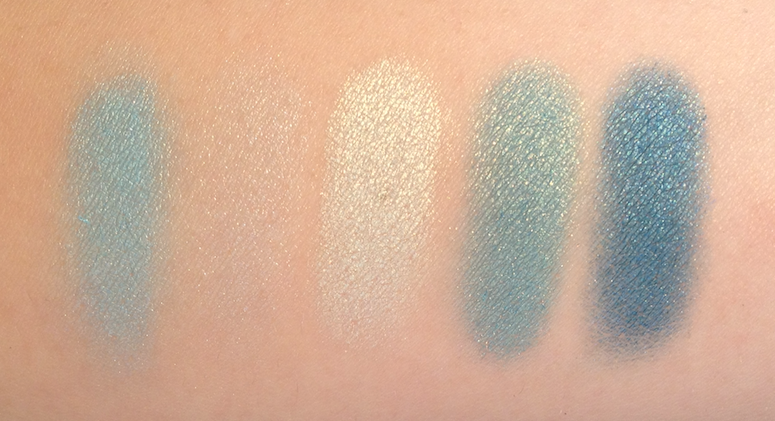 The dusky teal shade (bottom left in the palette) seemed to have a touch of duochrome in the pan, but it doesn't quite come out swatched or applied on the eye. It has good pigmentation, though a slightly drier texture than the other two. It does best when patted on with a MAC 239 type brush if you're going for the same degree of intensity, though blended in the crease I found no issues in terms of application or wear. The middle shade in the swatch line-up (bottom right in the palette) is more problematic. The colour is interesting - a pale golden green with a strong beige undertone, like pea soup with a ton of cream added. Unfortunately, it's one of the poorer shades. Sheerer and more powdery, it doesn't seem to show much when applied. It does better over a cream eyeshadow for a base, but even then, it looks sort of dull, in an unintended way. If it was more opaque, I think the murky but pale shade would be interesting. With more delicate colouring than mine, the effect might be more flattering, however it was still troublesome to work with. I found that application of this one definitely benefitted from a tightly-packed paddle brush like the 239, or a sponge applicator. The second shade in the line-up (top right in the palette) was not good on any level. A warm cream, it is sheer and powdery, and didn't seem to do much when applied except drop down some of the glitter. Meh. Natural light. Clockwise, from top left in the palette, middle shade swatched at far right. The last three shades in the swatch line-up (and the lower two and the middle shade in the palette) are the best out of all, with that classic Dior texture, wear and colour payoff. The pale iridescent green applies whiter than I was expecting, but you can definitely still see that green flash. 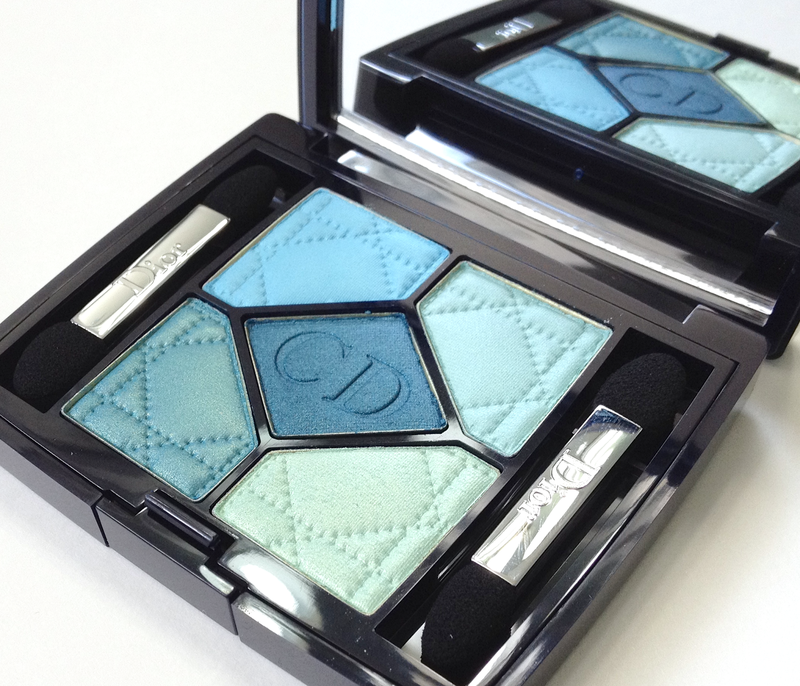 It is a gorgeous colour, and is stunning as an inner corner highlight. The medium turqouise shade again looks like it has some duochrome in the pan, but it's less obvious when applied, more of a fine golden sheen. The deep-sea blue of the middle shade is equally beautiful. All three apply well, blend without a hitch and look fantastic together. Had this been a trio, it would have been perfect. Unfortunately, the same can't be said for the other two shades. 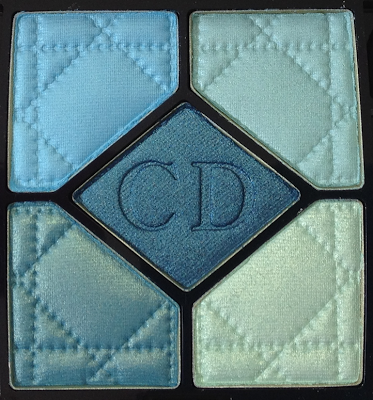 The bright blue from the top left is actually quite pigmented, but the powdery nature makes it difficult to transfer to the skin. I found the best result was using a primer, and then a creamy white pencil (something like NYX Milk or Cottage Cheese), and layering it overtop of that. The result then is an opaque, wonderfully 60s pastel shade. The second shade in the swatch line-up (top right in the palette) is just...a bummer really. It is ridiculously sheer, with next to no adherence to the skin. I'm at a loss to explain this one. Is it meant to be the barest wash of blueish shimmer imaginable? I don't know how anyone in RnD thought this was worthy of being included. 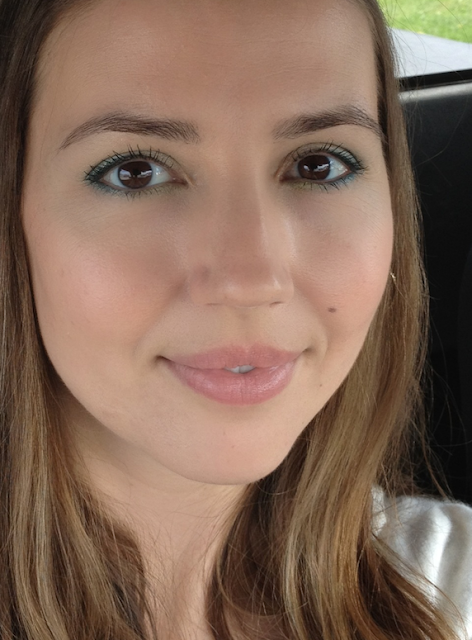 At a stretch, it can be layered over a dark, matte cream eyeshadow to add a faintly metallic sheen. Overall, my impression of these palettes skews more positive than negative. I can't say that I fully regret buying them, since they do have some lovely colours and I'm enraptured by the general feel of this collection as much as anything else. These are not un-dupable shades, and for 60$, the pretty colours may not be enough to overcome the shortcomings. That said, they are far from unworkable. Availability: At some Dior counters at The Bay, as well as online. Also at select SDM/Pharmaprix locations, and Nordstrom. Price is 60$ USD and CAD. Pros: Three good to great shades in each palette, with creamy, dense textures, good pigmentation and easy application. Wear was about 8 hours for these shades over a primer. 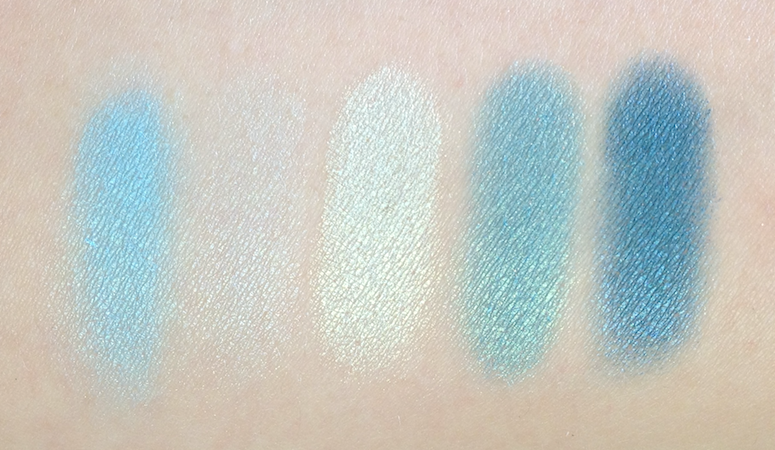 The colour range of the bottom three shades in the Blue Lagoon palette is particularly beautiful. Cons: Each palette has one challenging but workable shade (or one that might be better on very pale skin tones) and one shade that is just poor - sheer, dusty, problematic on all levels. Screw the shadows, woman. Why don't you have any pores?!? Seriously - what face makeup are you wearing? Lol! It's the Guerlain Parure de Lumiere - which is aces when first applied, but doesn't wear all that well on oilier skin, unfortunately. Oh, and the MUFE HD Concealer, which I always forget about! This has got to be your HG foundation, no? Unfortunately no - it doesn't hold up that well. Here it looks luminous and soft, but it winds up quite schvitzy. And it's really finicky, application-wise. 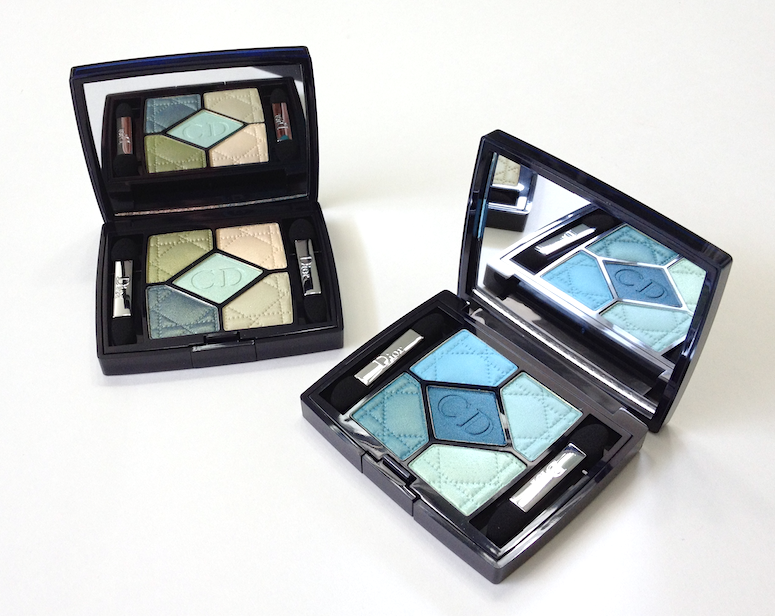 Most of the Dior palettes I have are really awesome, but there are a couple that for some reason or other have the odd clunker. They are so few and far between, though, that I tend to automatically put them on my wish list when it comes to seasonal collections. The day this collection launched at The Bay, my SA called me to let me know, as I had been sniffing around for these palettes for weeks, and I raced over fully intending to buy them. After all, as a Summer baby (you know about us Cancerians and our whole "water/ocean" fixation), and the fact that I have green eyes and are really enhanced with exactly these types of shades, I couldn't wait to swatch them. Sadly, I couldn't bring myself to buy them - I was expecting, I don't know...more oomph? More vibrancy? More something? I bought last year's palettes as well, and the sunset coloured one is AMAZING, the aquatic palette has its share of woes - probably what stayed my hand from buying these 2 beauties. Now, however, I might be regretting that decision - I love the look you've created; soft yet feminine. Perhaps with these types of hues, in-your-face colour is NOT the way to go ... I much prefer your interpretation! PS: You look flawless here, Maggie - what's the breakdown? Inquiring minds WANT to know, lol! You know, I don't think these are palettes that are regret-worthy either way. I feel like there are ways of making them work if you've bought them, and if you didn't, there are so many great (and more consistent) options out there that they don't require second thoughts. Ok....I'm obviously a moron, cause I didn't even glance at the breakdown you provided below the photo. Please excuse the dumb blonde moment! Lol! Flattering camera angles, smoke and mirrors. I really don't know how I get sucked into buying these palettes! Off to The Makeup Show in New York!